we think grassroots organisations are vital to creating change. our goal is to create tools to help them be more impactful. Since Campfire began in 2016, we have been collecting data on grassroots organisations throughout Greece, and particularly in Athens. We are continuously updating the information based off of our own field visits and news from on the ground. Created out of a need for networking and collaboration within the grassroots community, Smart Aid Gatherings have been bringing leaders together since 2017. 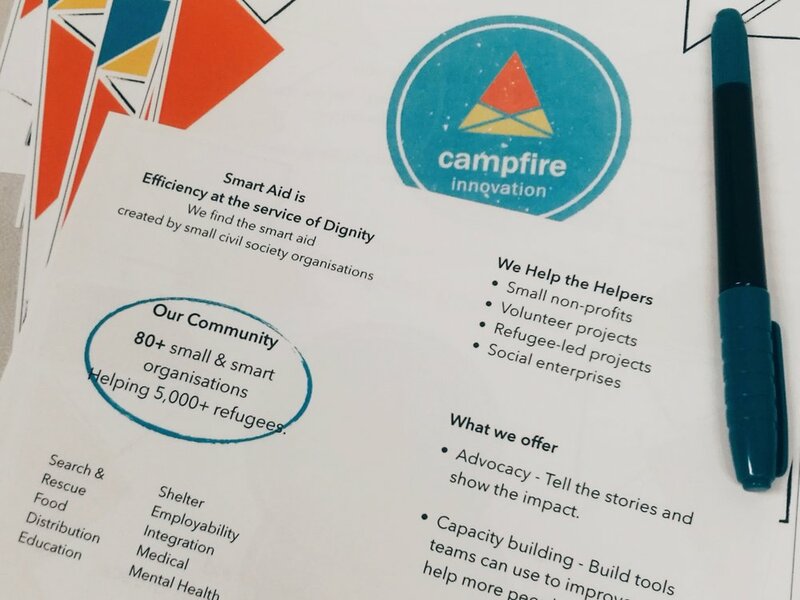 Campfire Innovation has created five main categories of free tools specifically made for grassroots projects. These tools empower and enable capacity building. So, What Exactly IS Smart Aid?